Will be spending my weekend putting everything back where it belongs after getting my living room painted. Would rather be sewing. I am spending my weekend taking it easy after being in the hospital for most of the day. I think some hand sewing will be required for this. 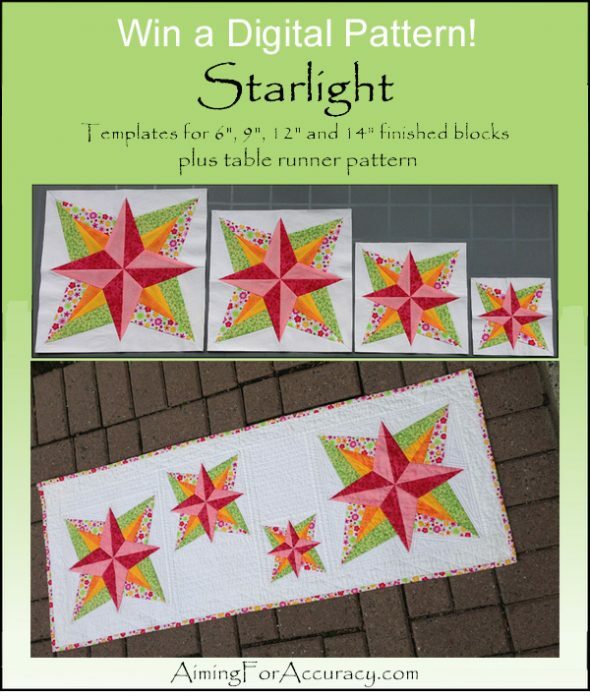 I would love to have a copy template of the Starlight pattern. I love the colors, but was thinking it would be beautiful done in Christmas fabrics. I’ve spent my weekend getting to know my new puppy Rosco! 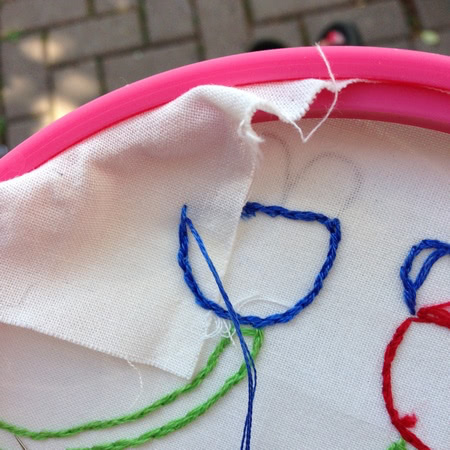 I plan to decide if I’m going to do applique or free-motion motifs or embroidery. The important word here is “plan”. My dog Flora is probably coming home this weekend after staying with my sister as I continue to mend from some nasty medical things this winter….. Working on this project is much more tempting than getting AC in, organizing and shredding, finding things that are MIA. Susan – what kind of puppy is Rosco? They are wonderful additions to family even if they do drive one nuts! Hi there: Happy weekend Everyone. This weekend I am working on completing an order for three Junk Jean Rejuvenation Bags. These market bags incorporate rejuvenated jeans strips and patches, are handmade with personalized embroidery and quilted patchwork. Each one is an original! Cleaning on Saturday. Church on Sunday morning and evening. 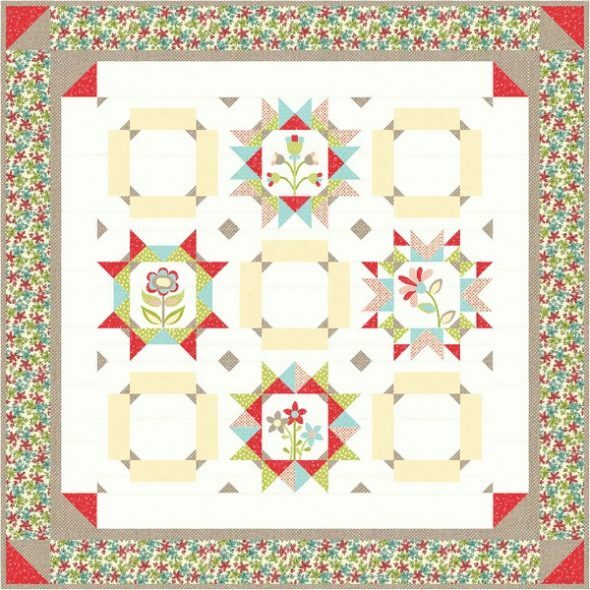 Sunday afternoon will be spent looking at quilting and sewing patterns and planning projects. 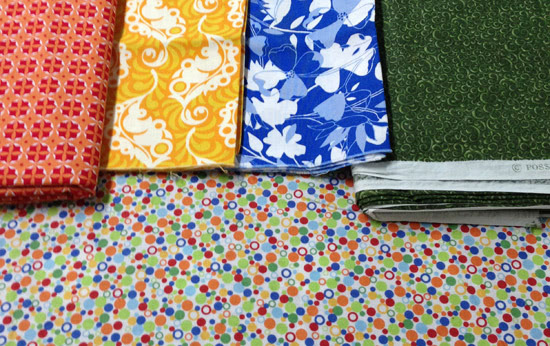 Most of the weekend will be spent fabric shopping. 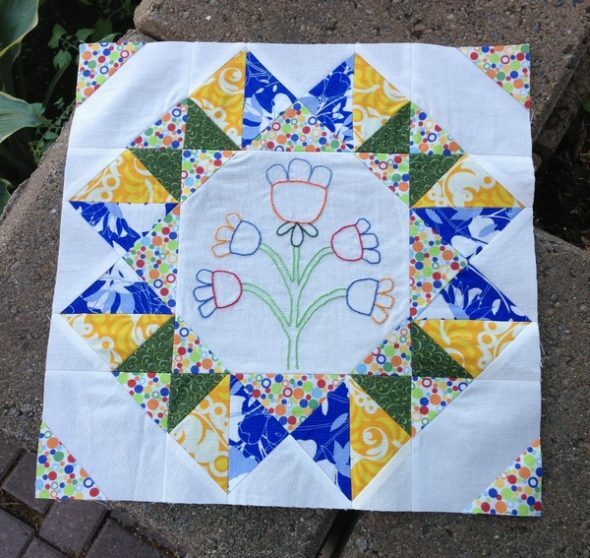 My husband and I will be doing a personal mini shop hop to support our local quilt stores. Truth be told, I think my husband usually buys more than I do! (Guys quilt too!). I had the MOST fun last weekend – took a trip to Sisters OR for their outdoor quilt show and logged in total of 23+ quilt shops between our 3 day trip there and the shops around Sisters and Bend. I understand they had over 1200 quilts up in the show, I THINK we saw every one. Maybe! Definitely a fun shopping and quilt viewing weekend. Exhausted but home now! I live in Spokane, WA. Our weather has been cool for July. Last year it was in the upper 90’s. Our lawn is nice and green. I spent my weekend with my daughter, who is now living with me. We went Row by Row pattern collecting. We managed to collect 4 more patterns. Now to get my quilt started. Our family spent the 4th by using the time designing a Pillow and working on it. My granddaughters developed a pillow pattern to celebrate the 4th. we are planning to give the pillows to the 2 men (father and son combo) who served in Vietnam and Iraq. The son served 3 sessions and was wounded 2 times. We are giving 2 pillows to a husband and wife pair who met in their service in the Navy and married. Granddaughters had more enjoyment making the pillows for the honor of others than if they would have had they made them for themselves. A new family project is born! I spent the weekend with family mourning the loss of our mother and preparing our Dad for his move into assisted living. He made it easier for us, as he asked to go look at homes, chose the one he wanted to make his new home and decided he wanted to move on Monday, despite the loss he feels he is very happy with his new home and the new friends he is making. Today would have been their 61rst anniversary. God has been awesome getting us through this time. 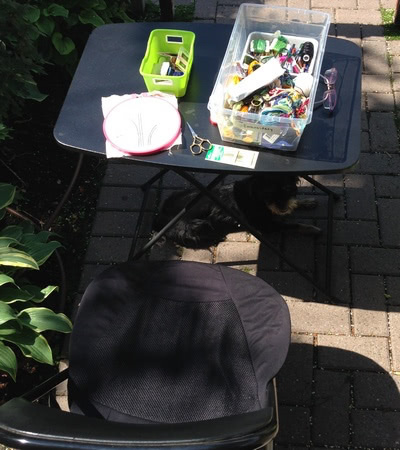 I spent my weekend spending time with my family – playing cards and dice games, watching TV, and I even snuck in some sewing!!! We’ll make our monthly run to grocery shop at the commissary and then because of the heat here in NE Texas, I plan to hit my sewing room and work on this. 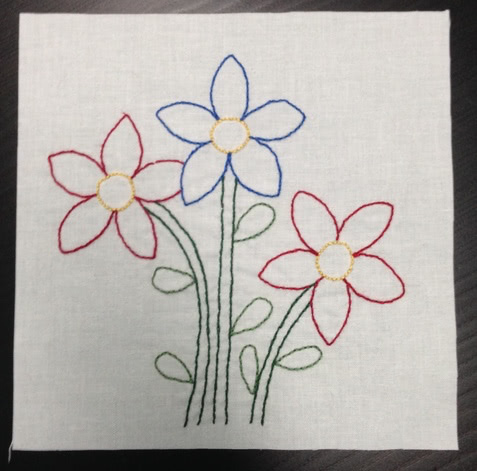 Recovering from being sick (but doing calming embroidery) and volunteer work tomorrow. Went to Hershey Quilt Odyssey yesterday. Today I just tried to stay cool, and enjoyed my grandson. I spent a three day weekend making a crib quilt for my niece who is due to have a baby girl any day now. It came out so cute with 30’s repro charm squares and white sashing! I only have to sew down the back side of the binding and I’ll be FINISHED! I am so excited to start a new bom thank you for being so generous in sharing your talent.